Howlin' Wolf Records: SIX STRINGS: Underrated Treasures Blogfest: The Adventures of Brisco County, Jr.! Underrated Treasures Blogfest: The Adventures of Brisco County, Jr.! 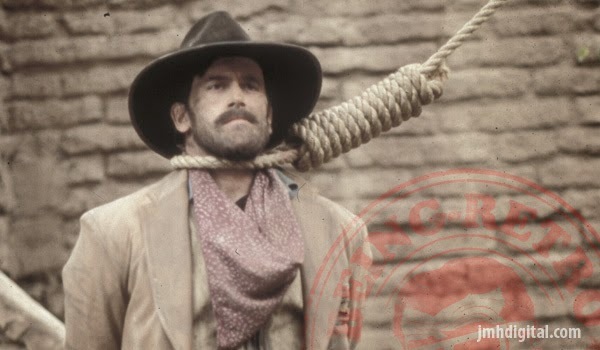 The Adventures of Brisco County, Jr., often referred to as just Brisco or Brisco County, is an American Western/science fiction television series created by Jeffrey Boam and Carlton Cuse. It ran for 27 episodes on the Fox network starting in the 1993–94 season. Set in the American West of 1893, the series follows its title character, a Harvard-educated lawyer-turned-bounty hunter hired by a group of wealthy industrialists to track and capture outlaw John Bly and his gang. Bruce Campbell plays Brisco, who is joined by a colorful group of supporting characters, including Julius Carry as fellow bounty hunter Lord Bowler and Christian Clemenson as stick-in-the-mud lawyer Socrates Poole. It's set in a fictional American Old West of 1893. Robber barons control the financial and industrial interests of the West from the boardrooms of San Francisco's Westerfield Club. The famous U.S. Marshal Brisco County, Sr. (R. Lee Ermey) has apprehended a gang of outlaws and its leader, the notorious John Bly. While transporting them to stand trial, County is murdered and the gang escapes. Elsewhere in a mine, a group of shackled Chinese workers unearths the Orb, a large golden globe studded with rods. After pulling the rods out of the Orb, they receive superhuman strength and use it to set themselves free. The murder of Brisco County, Sr., and the discovery of the Orb set into motion the major plots of the series. Long since gone, but never forgotten... though will never forget Alex J. Cavanaugh and the Underrated Treasures Blogfest [CLICK HERE] for all the entries... thank you! Also, look around... might be something you will like? Jeremy, you rock! That was my pick for underrated television show. Bruce Campbell was awesome. Hahaa...you and Alex picked the same show. I'd seen a couple of episodes cause I love Bruce Campbell!!! Hi, Jeremy. 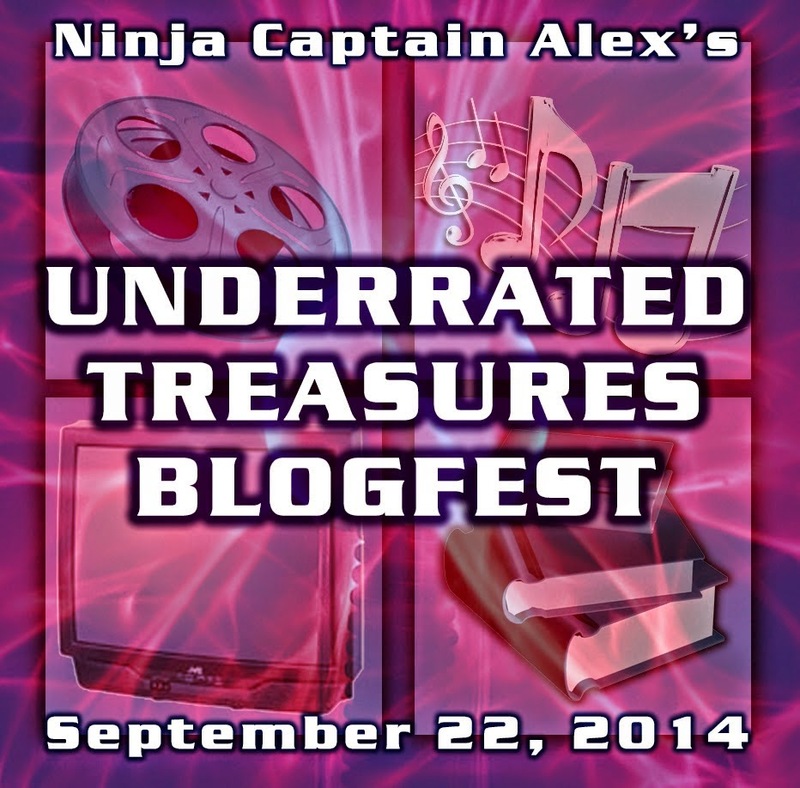 Thanks for sharing your movie choice for the Underrated Treasures Blogfest. I see that you and Alex picked the same movie. Bruce Campbell is the man! Fox has always killed good shows. I just hope they leave Gotham alone. Loved that show too. VERY steampunk, but it had its own vibe to it. Too bad it didn't last too long. Fox likes to kill good shows. Another great choice and I wish this show had found it's audience. One of my favorite. They ended it way too soon just like Firefly. It was such clever writing and complete entertainment. I've not heard of this series - but I loved Firefly. So maybe I should check out Brisco!? Thanks for the recommendation. I really need to check this out. Sounds awesome. Now I really have to see this series! I had forgotten about Brisco or I would have used him, as it is I have him on my short list on netflix since it's been such a long time since I've seen the series! I think I remember my dad watching that one. I like old west movies so I need to check it out. I was an avid fan of this show and thought it was way ahead of its time. Loved it! I think this could be one of THE most underrated t.v. shows of all time. Seriously....it was that good. One of my favorites and I still watch the DVDs to this day. Great pick! I love Bruce Campbell. He's such a charmer no matter what the role. If both you and Alex selected this TV show out of all the underrated possibilities out there, it must be good! Bruce Campbell! I bow down before you. I love Campbell. Such an underrated actor. You've made this Brisco County show sound more interesting. Now I'd like to see some episodes. A few people have mentioned Brisco, so now I would like to watch it. Will have to look into seeing if it can be found. 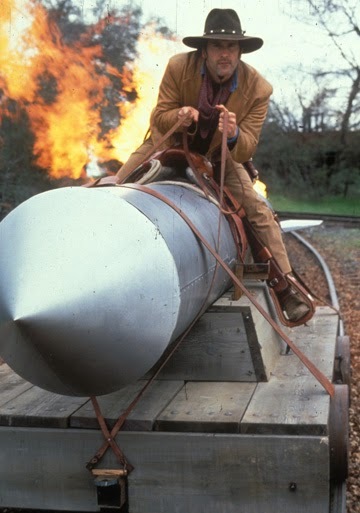 Yes, Brisco County, Jr. rocks! Great pick! Now I see why you and Alex are friends. You think alike. haha. Never heard of this. Sounds very cool! Western sci-fi is awesome. Reminds me of those few episodes of ST:TNG with the Old West holodeck recreations. I really want to see this show! Thanks for sharing! So your mind and Alex's are connected! Too cool. I have never heard of this show. Will ask the dwarves to find it. Hey, 2nd time this one got a rec. Guess that means we all muuuust waaaaatch. it does sound like a fun premise, and what's not to love about Bruce Campbell?